Shepard Residential College has permanently moved into South Mid-Quads Hall. Shepard and Public Affairs Residential College’s former buildings will be turned into a residential community for the 2016-17 year. The executive board members of Shepard and Public Affairs residential colleges have decided to permanently stay in the sorority quads after moving into them last quarter. 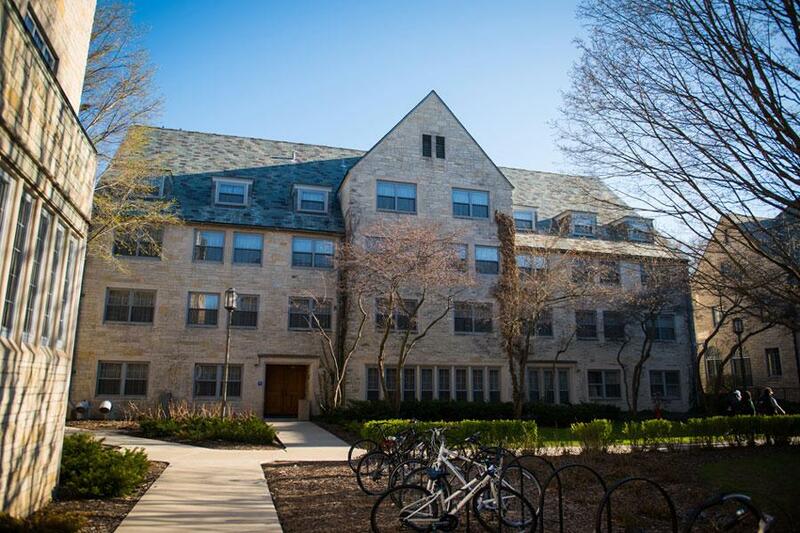 In Fall Quarter 2015, Shepard and PARC residents moved into South Mid-Quads Hall and North Mid-Quads Hall, respectively, when their former buildings began renovation as a part of Northwestern’s Master Housing Plan. Following the residential colleges’ decision, two new residential communities — one located on each end of campus — will launch in the fall of the 2016-17 year, said Paul Riel, executive director of Residential Services. Future residents of the South Campus buildings that formerly housed the Shepard and Public Affairs residential colleges will be part of one residential community, as will North Campus residence halls Goodrich House, Bobb Hall and McCulloch Hall, Riel said. As in existing residential communities Allison and Elder, a faculty member will live in an apartment installed in one of the buildings — Shepard for South Campus and Goodrich for North Campus. The faculty member will be responsible for both buildings in the residential community, as well as the community’s programming. Despite the change, the new residential communities are not necessarily permanent, Riel said. A committee has been formed to evaluate what the best plan is moving forward after the 2016-17 year, he said. PARC president Sohini Gupta said the decision for her residential college to stay wasn’t a hard one, citing the facilities and amenities provided in SMQ. The executive board members of PARC only met twice before they came to a consensus, she said. Due to the move, Shepard and PARC will not be able to house as many residents as in the past. Before renovation, Shepard’s former building could hold up to 183 residents, while SMQ can only hold up to 74. Similarly, PARC’s former residence could hold up to 113 residents before renovation, while NMQ can only house up to 72. However, Shepard president Daniela Ruiz said the smaller building has actually been to the residents’ advantage. Both Gupta and Ruiz said they are looking forward to staying in the sorority quads because of the proximity to other residential colleges, namely Hobart House and Willard Residential College. As a part of the Master Housing Plan, Willard will temporarily move into 1835 Hinman starting Fall Quarter 2016. After Shepard’s first quarter in SMQ, Ruiz said she is glad the move has helped increase participation and is looking forward to the future.